Is the distance between you and your home router is so long that you are not getting good signals ? Now, get rid of this problem because Amazon is here with a good deal on such a product that can help you. Amazon is offering TP-Link TL-WA820RE 300Mbps USB Wi-Fi Range Extender (White) worth Rs 2,599 at Rs 1099 only in a lightning deal. 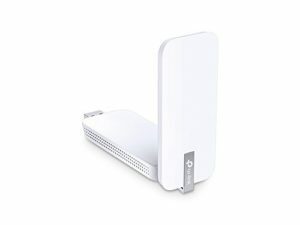 Consisting two external antennas, it expands your home’s wireless coverage, creates reliable connections and eliminates dead zones. Order now!! How to buy TP-Link TL-WA820RE 300Mbps USB Wi-Fi Range Extender ?